Ten Syrian school children were arrested and tortured in the first week of March 2011. “Down with the regime,” was the graffiti slogan they scrawled on a wall in the town of Daraa. Their families attempted to free them, protesting in the streets when their efforts proved nil. Syrian security forces took aim at the group, killing multiple parents. One day later, twenty thousand protesters swarmed the funeral procession. Multiple demonstrations erupted across Syria that day. Banias, Latakia and then Duma; later, the suburbs of Damascus and Aleppo (1). Just as neoliberal economic policies, nepotism, and disillusioned youth successfully toppled the leaders in Tunisia, Libya and Egypt—a general disgust with autocratic rule was stoking flames of discontent in Syria. During a national address held on March 30, 2011, Syrian President Bashar al-Assad blundered his opportunity to quell the uprising. His forces continued to violently crackdown on demonstrators; by the summer of 2011, the Free Syrian Army was founded, as was the blueprint for civil war. According to the Syrian Observatory for Human Rights, this savage civil conflict has killed approximately 465,000 people since it began seven years ago (2). The Syrian Civil War morphed into a international proxy war, which has only deepened the toll on civilian life. The war created a catastrophic refugee crisis, scattering 5.2 million Syrians into neighboring lands and abroad. Approximately 6.3 million Syrians are internally displaced and more than 13.5 million are in need of humanitarian assistance (3). Wars are void of winners. One side simply hobbles away more gracefully. Conversely, Hezbollah, Lebanon’s Shi’ite militia turned political force, may exit the Syrian Civil War relatively unscathed and hardened for battle. More important, its regional stature may continue to rise since it took up arms alongside al-Assad’s regime in neighboring Syria. This investigation will examine: the origins of Hezbollah, and its roots in Lebanon’s splintered and complicated history; the ideological factors that justify its military activities; Israel’s response to Hezbollah today; and U.S. policy objectives in Lebanon. Hezbollah, or the “Party of God,” began as a Shi’ite Islamist militia that opposed the Israeli occupation of Southern Lebanon. The Lebanese Civil War—a 15-year battle that lasted from 1975 to 1990, and claimed the lives of 150,000 people—acted as one of the many factors that contributed to the formation of Hezbollah. Israel invaded Southern Lebanon in both 1978 and 1982, in order to fight back the Palestine Liberation Organization, and create a buffer zone between the two nations. In the early 1980s, Hezbollah worked as a clandestine resistance force against Israel. Until 1985, when the group released its founding manifesto in the form of an “Open Letter,” which outlined its militant, religiously conservative and anti-imperialist objectives. The document stated its enemies included Israel, the United States, France and the Phalange (the right-wing Maronite party in Lebanon founded in 1936). It also echoed the ideology of Iranian Supreme Leader Grand Ayatollah Ruhollah Khomeini (4), and Tehran remains an invaluable ally for this Lebanese faction. But tracing the roots of Hezbollah means mapping Lebanon’s splintered national history. France was responsible for drawing Lebanon’s respective borders following World War I. At the time, Lebanon consisted of three religious groups: Maronite Christians, and Sunni and Shi’ite Muslims. Each of the three sectarian religious groups held a relatively equal portion of the country. 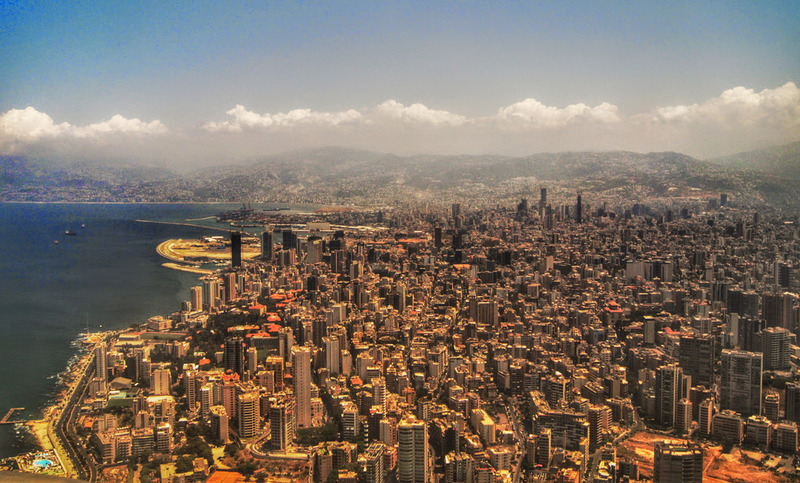 Lebanese leaders adopted a confessional form of governance, which aims to evenly distribute power among varying religious communities, and was based on the nation’s last official census conducted in 1932. Lebanon gained its independence from France in 1943, and its confessional system would be lead by President Bechara El Khoury, who was a Maronite Christian. Sectarian divisions and a Christian hegemony created tense social divisions, until Lebanon’s majority was faced with two growing challenges: the influx of Sunni Muslims, namely Palestinian refugees fleeing their home following the founding of Israel; and its marginalized and newly mobilized Shi’ite community. The tensions reached its peak in 1975, hurling Lebanon into a civil conflict that would draw in multiple nations including the United States, France, Israel, Syria and a supervisory force established by the United Nations Security Council. Since its founding, Hezbollah has carried out multiple military offensives and have remained an armed presence in Lebanon’s Southern region. Israel withdrew from Southern Lebanon in 2000—Hezbollah credited its covert and overt actions against the foreign occupier as reason for the eventual retreat. In 1992, Hezbollah entered Lebanon’s political arena, winning eight seats in the parliamentary elections. Its political party secured 10 seats in Lebanon’s confessional government in 2009, “and it has achieved a modest, variable, yet generally steady degree of electoral success” (5). In 2006, the Hezbollah-Israel War broke out after the Lebanese force kidnapped two Israeli soldiers. The 34-day battle killed 1,190 Lebanese citizens, and Hezbollah’s rockets took the lives of 163 Israelis. Although this border region remains tense, military skirmishes between Hezbollah and Israel has remained quieted. Since Hezbollah delved into the political system, the organization has limited its military operations. Its continued to build Shi’ite support at home, bolstering social services for Lebanon’s Southern region. With the eruption of the Syrian Civil War in 2011, Hezbollah has expanded its military force and moved towards evolving into a legitimized regional powerbroker. Hezbollah leverages its different identities to justify participating in armed conflicts, according to Zafer Kizilkaya. This practice has been an ideological cornerstone since its founding in the 1980s, said Kizilkaya, in his article, “Identity, War, and Just Cause for War: Hezbollah and Its Use of Force,” published by the Mediterranean Quarterly on June 1. 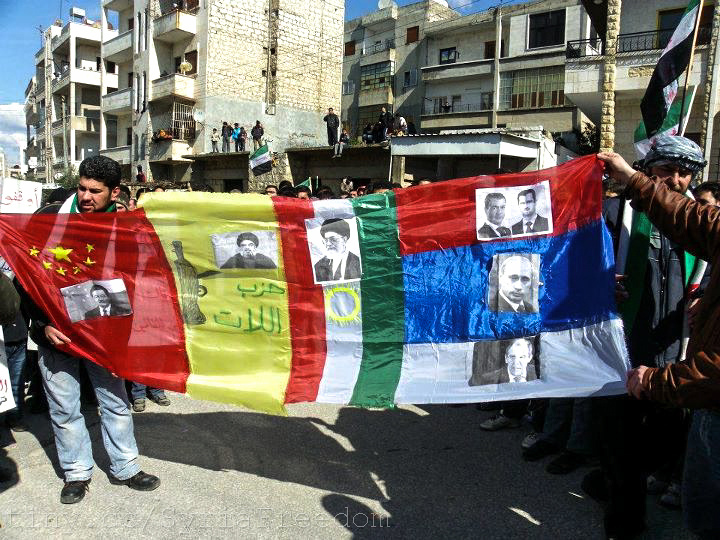 Thus, Hezbollah shifted its ideological paradigm in order to justify fighting alongside the al-Assad regime. Although the paramilitary group mainly relies on support from Lebanese Shi’ite Muslims, they are also claiming to fight for five identity-based causes: Lebanese nationalism, Islamic ideology, a Shi’ite Muslim belief system, Arabism and as a resistance movement (6). This resistance identity is the only one built from scratch, following Israel’s invasion of Lebanon both in 1978 and 1982 (7). The group began by painting Israel, the United States and the West as the oppressors in the Syrian conflict, claiming this coalition, “wanted to fragment Syria, redesign the Middle East, and subjugate the people of Syria and the region as a whole” (8). This particular justification pitted Hezbollah against the Syrian rebels fighting al-Assad, as well as any foreign nation who aided the rebels or were invested in regime change. However, Hezbollah’s reasoning is deemed illegitimate in most the Muslim world. While battling Israel under the guise of resistance was easy to support, its participation in the Syrian Civil War appears to be motivated by the group’s sectarian identity. Hezbollah’s defense of Shi’ite Muslims in Syria was proven in two ways, according to Kizilkaya: its protecting of Shi’ite holy sites, and its battles with Daesh, whose strict interpretation of Islam sees Shi’ites as apostates. The adherence to identity politics is what makes the actions of Hezbollah and the Lebanese Armed Forces starkly different. In 2006, the LAF didn’t engage in the conflict between Hezbollah and Israel. Since the onset of the Syrian Civil War, the LAF has simply defended its own border, fighting back Sunni militants, namely Daesh and Ha’ia Tahrir al Sham (the al Qaeda-linked group formerly known as the al-Nusra Front). Mohammed Hussein Fadlallah—a well respected Shi’ite marjas, or “spiritual reference” who influenced Hezbollah’s ideology—drafted a framework for justifiable conditions for taking up arms. Fadlallah claimed, “deterrence and the prevention of hegemonic plans that preclude the self-determination and development of Muslim people” was a valid reason to use force (11). This call for preemption became a primary justification for Hezbollah entering the Syrian war. Looking forward, Kizilkaya also argues that Hezbollah’s marriage of its various identities/causes to justifications for participating in armed conflicts, both inside and out of Lebanon, could prove to be its most valuable asset. Iran is conducting a war against Israel by proxy, the foremost being Hezbollah, which constitutes the gravest threat to the State of Israel, said Gadi Eisenkot, chief of staff for the Israel Defense Forces. 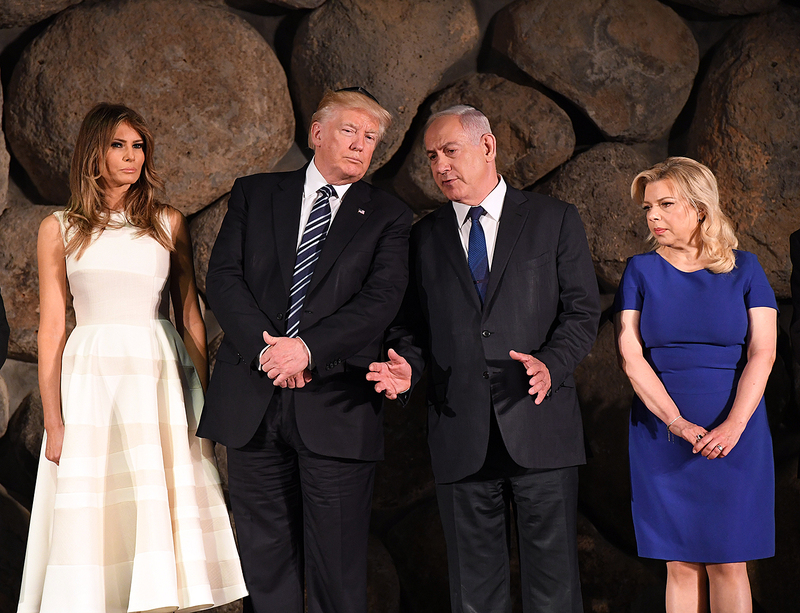 Eisenkot’s article—published by the Institute for National Security Studies, a policy-oriented research organization engaged in Israel’s security issues, based out of Tel Aviv University—extensively discussed the Iranian push for hegemony in the region, Hezbollah’s growing strength, especially after its involvement in the Syrian Civil War. Since the outbreak of the Syrian conflict, the border landscape in the Golan Heights (a plot of Syrian territory that was captured, and annexed by Israel after the Six Day War in 1967) has changed significantly, Eisenkot explains. This particular border region shared among Israel, Jordan, Syria and Lebanon is littered with deployments from Daesh, the Syrian military and Hezbollah, he said, adding the situation is ever changing and highly complex. In an effort to curb Hezbollah’s presence in the Golan, Israel has been supplying Syrian rebels with cash, food, fuel and medical assistance, according to a Wall Street Journal article published on June 18 (12). According to the WSJ, Israel has established a military unit that oversees the support in Syria—a country that it has been in a state of war with for decades—and set aside a specific budget for the aid. Although Hezbollah’s primary goal is to achieve a Shi’ite hegemony in Lebanon, its tactical threat to Israel is only increasing (13). The group has 240 strongholds in villages and cities throughout Southern Lebanon, and is growing its precision-rocket capability. The size of Hezbollah’s arsenal is unknown, but is estimated at 100,000 rockets. The issue is highly politicized by Israel and used to justify its missile defense programs: “Iron Dome” and “David’s Sling” (14). The cost of constructing rudimentary munitions is relatively inexpensive, and Hezbollah has improved the quality of its arsenal when it obtained guidance systems. Moreover, a new threshold was reached when Hezbollah started acquiring ballistic missiles (15), a capability believed to be supplied by the Syrian regime. These short-range ballistic missiles can carry a 1100-pound warhead and has a range of 210 kilometers—roughly the distance between Beirut and Tel Aviv. As al-Assad rose to power in Syria, he developed a warm relationship with Hezbollah, securing an arms route and cementing an anti-imperialist coalition comprised of Iran, Syria and the Lebanese party. Eisenkot also said the “Party of God” has cut it teeth militarily on the battlefields of Syria, gaining experience in larger operations than it had in the past (17). He said although 1,300 Hezbollah soldiers have been killed in Syria, with another 5,000 wounded, this force now has 20,000 troops and another 25,000 reservists. 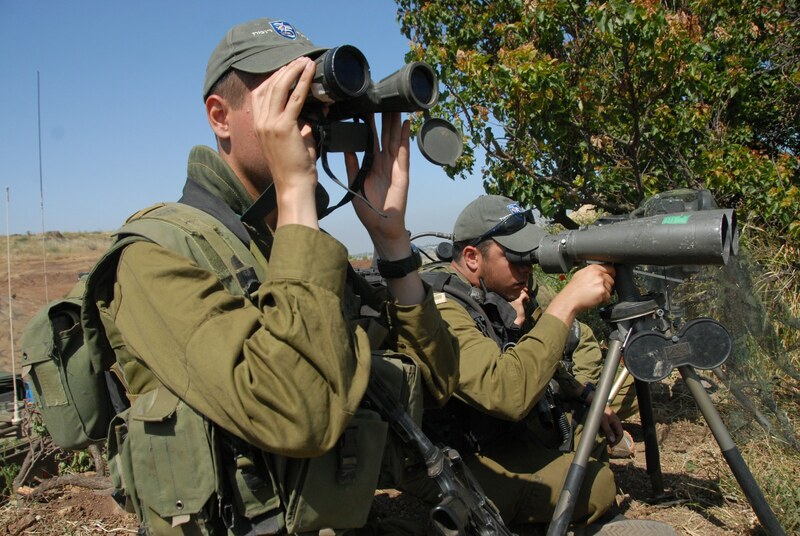 The sub-conventional and sub-state threats of Hezbollah will continue to grow, said Eisenkot, and the IDF is bolstering its military capabilities accordingly. United States aid to Lebanon has sought to counterbalance the intrastate influence of Syria and Iran on this religiously divided nation. Congress is currently reviewing the best way to achieve its policy objectives in Lebanon, which include: weakening Hezbollah; bolstering the capabilities of the Lebanese Armed Forces; helping defend Lebanon’s borders by providing military hardware and training; assisting the influx of Syrian refugees since the onset of the civil conflict; and strengthening governmental services and infrastructure (19). The U.S. has urged Lebanon to keep its borders open to refugees fleeing the Syrian conflict; thus, the State Department has provided more than $1.5 billion in humanitarian aid to Lebanon since FY2012. In 2016, Lebanon ranked as the fifth-largest recipient of U.S. foreign military financing in the world, said Elizabeth Richard, U.S. ambassador to Lebanon. She also said that the United States had provided $221 million in equipment and training to the LAF last year alone (22). In pursuing U.S. interests in Lebanon, Congress enacted a sanctions bill targeting parties that facilitate financial transactions for Hezbollah’s benefit in December 2015. This legislation, known as the Hizballah International Financing Prevention Act, prohibits the maintenance of any U.S.-based account that provides monetary support to Lebanon’s contentious political and militant group. Conversely, the U.S. is tasked with walking a delicate balance between curbing Hezbollah’s strength while avoiding sparking an internal conflict in Lebanon. The militia is often deemed more effective than the LAF, and both organizations have fought alongside one another to ward off groups like Daesh. More important, because of Lebanon’s dilapidated institutions Hezbollah (like many other sectarian political factions) operates, “a vast network of schools, clinics, youth programs, private business and local security” within the country (23). President Donald Trump’s administration appears to have further complicated its own dealings with Hezbollah. On Oct. 10, the State Department offered $12 million in rewards for information that leads to the capture and conviction of two senior Hezbollah officials: Talal Hamiyah and Fu’ad Shukr. “Until Hezbollah stops using terrorism and violence to achieve its goals, the United States and our allies will aggressively target its terrorism infrastructure and financial support networks,” said Nathan Sales, State Department Counterterrorism coordinator. Regardless, the U.S. continues to fight alongside Hezbollah while battling Daesh in Syria, furthering the “Global War on Terrorism.” The battlefield experience Hezbollah has gained by justifying its involvement in the Syrian Civil War is a cause for concern for the State Department, its respective allies, most notably Israel, and the international community overall. Hezbollah basically reconstructed Southern Lebanon after its last war with Israel. When the Syrian Civil War ends, many believe Hezbollah is destine to help restore al-Assad’s ravaged nation. The “Party of God” also devised successful battle strategies in Syria, reclaiming Aleppo from Daesh warring alongside Russian and Syrian forces. Nurturing its social cache, Hezbollah established a Syrian branch of its Imam al-Mahdi Scouts, a youth movement that mirrors the Boy Scouts of America. Under the Joint Comprehensive Plan of Action, international sanctions imposed on Iran have been successfully lifted, freeing the financial backbone of Hezbollah’s operations. In November 2016, Hezbollah held a celebratory parade in al-Qusayr, flaunting its military prowess in a Syrian town they unofficially control. The only thing Hezbollah can’t seem to do is slow its regional power grab.